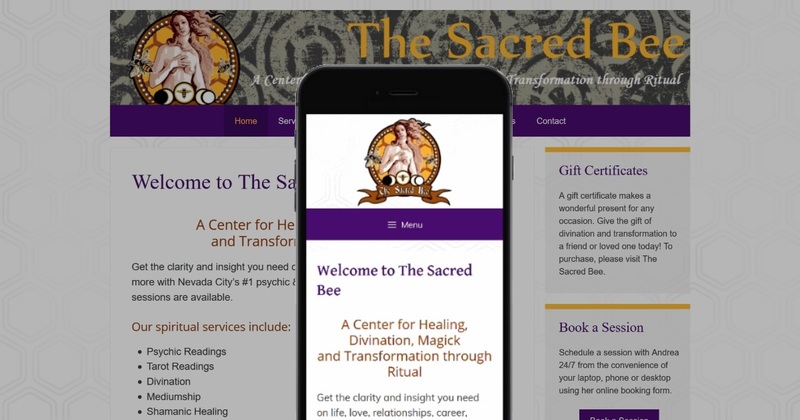 Nevada City’s The Sacred Bee goes mobile-friendly to catch 52% of online users on mobile devices. Learn what we did to attract and convert this growing demographic and find out if your site is mobile-friendly too. As of today, SierraHosts no longer offers stand-alone hosting services. If you need web hosting, we highly recommend SiteGround Hosting. SierraHosts will continue to support existing hosting clients until their pre-paid hosting accounts expire. At that time, we recommend that your website/s be migrated to SiteGround hosting. Learn to use WordPress like a pro! SierraHosts offers personalized, on-site Wordpress training for individuals and small businesses. Contact us to level-up your WordPress skills! Affordable & reliable website design, hosting and WordPress support, maintenance, customization & training for small businesses, entrepreneurs and start-ups.